Joan Chadde, director of the Center for Science and Environmental Outreach was interviewed for a story on ABC 10. The story involved a field trip by second-grade students from Barkell Elementary School in Hancock to the Nara Nature Park. The 2019 Green Film Series: Issues and Dialogue returns next week. Now in its ninth year, the Green Film Series offers films along with facilitated discussion on the third Wednesday of each month from January through May. This year’s first film, “Carbon Nation,” will be shown at 7 p.m. Wednesday (Jan. 16) in Forestry Building G002. “Carbon Nation” is a documentary about climate change solutions. Even if you doubt the severity of the impact of climate change or don’t buy it at all, this is still a compelling film that illustrates how solutions to climate change address social, economic and natonal security issues. The discussion facilitator for this film is Sarah Green (Chem). Coffee and dessert will also be provided by the Sustainable Futures Institute. There is no admission, although a five dollar donation is suggested. 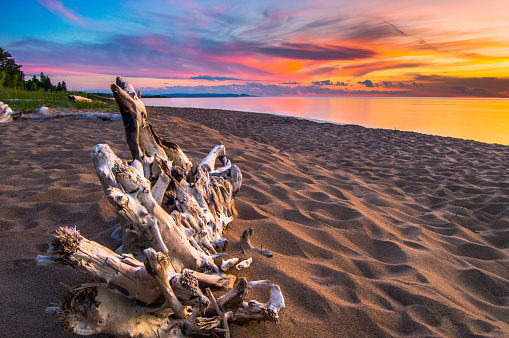 The Green Film Series is sponsored by the Lake Superior Stewardship Initiative, Keweenaw Land Trust, Michigan Tech’s Great Lakes Research Center, the Keweenaw Unitarian Universalist Fellowship, Michigan Tech’s Department of Social Sciences and the Sustainable Futures Institute. A complete list of films in the Green Films Series: Issues and Dialogue is available here. More than 700 elementary, middle and high-school students from 10 Western Upper Peninsula schools will gather at Michigan Technological University’s Great Lakes Research Center on Wednesday, Oct. 17 for the Seventh Annual Lake Superior Water Festival. Participating schools include Baraga High School, Barkell Elementary (Hancock), CLK Elementary (Calumet), EB Holman (Stanton Township), Houghton Middle School, Luther L. Wright High School (Ironwood), Jeffers Middle School (Adams Township), Lake Linden-Hubbell Middle School, South Range Elementary and Washington Middle School (Calumet). Students from 30 classes will participate in 24 different sessions presented by Michigan Tech scientists and graduate students, along with presenters from the U.S. Coast Guard, Ottawa National Forest, Isle Royale National Park, Keweenaw Bay Indian Community, BHK AmeriCorps and the Copper Harbor Trails Club. The Water Festival provides an opportunity for students to learn about and celebrate our most precious natural resource – the Great Lakes! A wide variety of topics from science and engineering to creative writing will be presented. Students will attend four 35-minute activities. Some of the topics to be presented include remotely operated vehicles, leave no trace outdoors, cleaning wastewater, careers with the U.S. Coast Guard, the chemistry of corrosion, design a fog harvester and more. The 2018 Water Festival is coordinated by Michigan Tech’s Center for Science and Environmental Outreach, with funding from the Great Lakes Stewardship Initiative and Michigan Tech’s Great Lakes Research Center. For more information contact Joan Chadde, director of the Center for Science and Environmental Outreach. 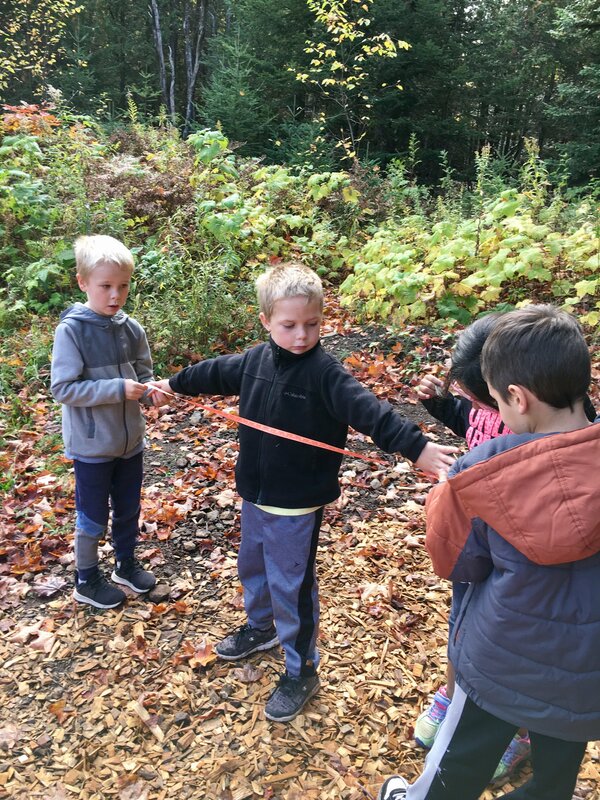 Starting Oct. 1 through Nov. 6, there will be six hands-on explorations taught by Michigan Tech science and engineering students and staff from 4 to 5:30 p.m. at the Great Lakes Research Center, room 104. These classes are for grades one through five. 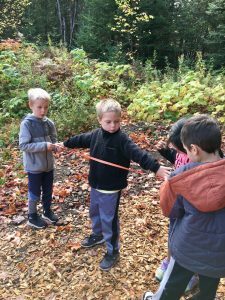 Students will engineer seed get-aways, investigate animal tracks, design feeders to help birds through the winter, examine leaf characteristics and create leaf art, and discover the many ways that animals survive the winter. The cost is $90 per student. Register by Thursday (Sept. 27). Registration is available online. Your space is not reserved until payment has been received. Minimum of 10 students needed per class. You can pay by credit card here. Call 7-3341 or email Joan Chadde with any questions. A Houghton Elementary School bus will drop off students at the GLRC by 3:45 p.m. Transportation from Houghton Elementary will be provided by Lamers at no additional cost. Joan Chadde is in Detroit this week conducting a four-day teacher institute at the Belle Isle Aquarium as part of an National Science Foundation Innovative Technology Experiences for Student and Teachers (ITEST) grant project. 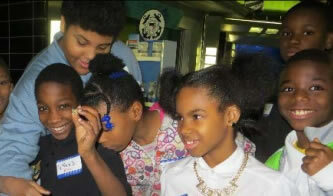 The project’s goal is to increase the interest of diverse students in science and science careers. This summer institute is a collaboration with Wayne State University (Jeff Ram, PI) and the Belle Isle Conservancy. Learn more about summer institutes for teachers. The winners of the Cleaning Dirty Water Competition shouldn’t come as a surprise. The winners are three members of the Michigan Tech chapter of the Society of Environmental Engineering — seniors no less — Joseph Doyle, Kyle Mischler and Jeremy Luebke. The winning trio had stiff competition from the runner up team, “The Insolubles,” three students from a Hancock High School chemistry class — Mike McParlan, Murphy Mallow and Shannon Nulf. The class is taught by a Michigan Tech grad. Other teams that competed included Quantum Huskies, a group of international students from Tech’s Department of Civil and Environmental Engineering, the Whiz Kids, a group of three eighth-grade students from Lake Linden-Hubbell Middle School and three members of the Copper Country Recycling Initiative task force. The competition was held in recognition of World Water Day, Wednesday (March 22). This year’s theme was wastewater, hence the cleaning water competition. 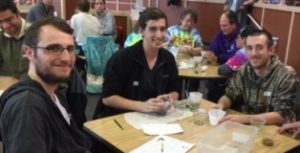 Event coordinator Joan Chadde, director of the Michigan Tech Center for Science and Environmental Outreach and a member of the World Water Day planning committee, made the wastewater right before participants’ eyes. The wastewater was made up of household items that go down the drain. Each team was given a cup of wastewater and directed to clean it as best they could using only the materials provided — screen, sand, gravel, activated charcoal and alum. Globally, two billion people are without clean drinking water and three billion are without wastewater treatment. After treatment, wastewater is a valuable resource that can be returned to cities for drinking water. Michigan Tech’s World Water Day events were sponsored by the following Michigan Tech departments and research centers: The Great Lakes Research Center, Civil and Environmental Engineering, Geological and Mining Engineering and Sciences, Social Sciences, Biological Sciences, the Ecosystem Science Center, the Sustainable Futures Institute, Visual and Performing Arts and The Center for Science and Environmental Outreach. ABC News 10, WLUC TV6 and WJMN TV3 all covered World Water Day celebrations this week at Michigan Tech.